Assassin’s Creed Odyssey might take place centuries before any other game in the series, but Ubisoft is more than happy to let you enjoy some anachronistic cameos from previous series protagonists. 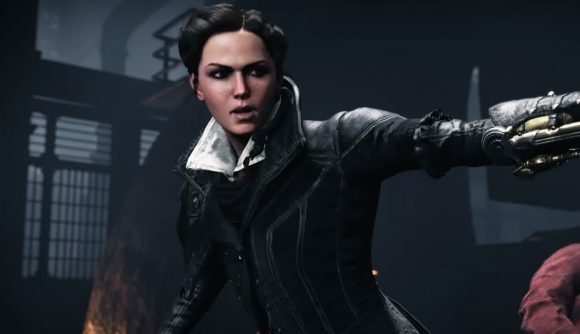 Evie Frye, half of the brother-sister duo that headlined Assassin’s Creed Syndicate, can join your ship crew – here’s how to unlock her. Evie is unlocked via the Ubisoft Club, and she’s free – but you’ll need to have played a whole lot of Assassin’s Creed to get her. You’ll need to acquire the Master Assassin badge, which requires you to have 7,500 XP from across the series. Experience is earned through Uplay’s built-in achievement system – so if you’ve played previous games, the XP has accumulated automatically. If you’ve met the requirement, you can claim Evie from the Ubi Club rewards page, then select her from among your ship lieutenants – naturally, you’ll have to have the ship unlocked in-game to be able to do that. In addition to effectively wielding a spear during naval boarding efforts, Evie provides some nice stat bonuses while she’s among your lieutenants. Buffs include 9% to javelin damage, 15% to fire javelin damage, and 18% to all damage while health is low. The Assassin’s Creed Odyssey release date is set for October 5, though owners of the pricier Gold and Ultimate Editions can get in early this week. Either way, it looks like a strong new entry for the series.